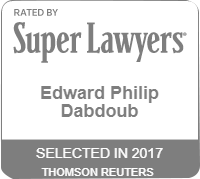 Every lawyer at Dabdoub Law Firm focuses on disability insurance claims and lawsuits. The entire firm was built for the specific purpose of helping people collect disability benefits from disability insurance companies - it is all we do and we do it well. We are a nationally-recognized disability insurance law firm representing clients across the country against every major disability insurance company. Millions of dollars in disability benefits have been recovered for our clients. Denied by a Disability Insurance Company? We Can Help. Employers and insurance companies don’t always have your best interests in mind, but Dabdoub Law Firm does. For over 20 years, our team has helped hundreds of people with their disability insurance claims. Ready to do what it takes to protect your best interests in the event your disability insurance claim is denied, our team has the legal experience to present a strong disability appeal or even file a lawsuit for disability benefits. Don't Wait to Get Help! Call Our Firm at (800) 969-0488 to Schedule a Free Consultation Today. 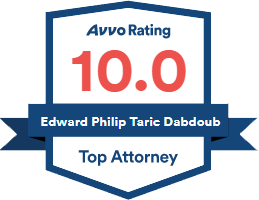 Dabdoub Law Firm has in-depth experience handling disability claims. Whether your disability claim was denied or your disability benefits terminated, Dabdoub Law Firm can help. 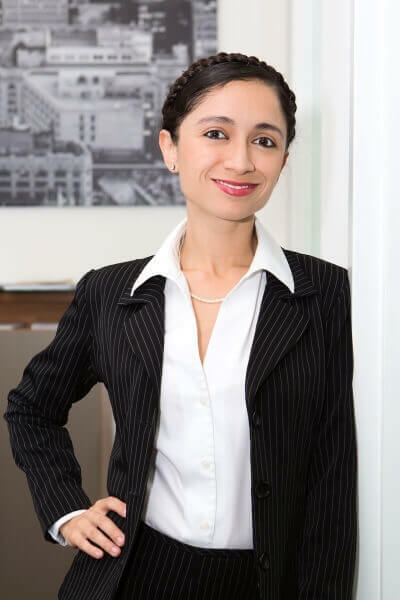 The experienced disability lawyers attorneys in Miami at Dabdoub Law Firm have the experience and insight to steer your case in the right direction. Watch this video to see how this law firm works every day to help people across the country fight back against disability insurance companies. 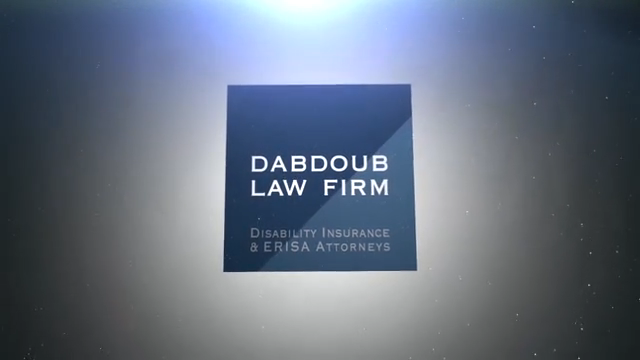 Dabdoub Law Firm only assists those seeking disability benefits against disability insurance companies. Call us to schedule your free case evaluation. I simply cannot say enough positive things about the complete scope of his staff, ability, service and most of all EFFECTIVENESS. After speaking with Mr. Dabdoub, I felt a sense of comfort that I didn't feel with the other attorneys. They did exactly what they promised to do! 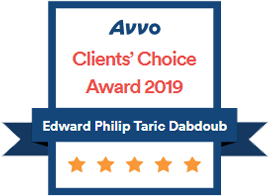 I highly recommend all the attorneys at the Dabdoub Law Firm in Miami, Florida because you are all very professional and outstanding. Edward was very patient and thorough and explaining the legal process and the details surrounding our agreement with his firm. I am in another state and I never felt that they were not right next door to me. 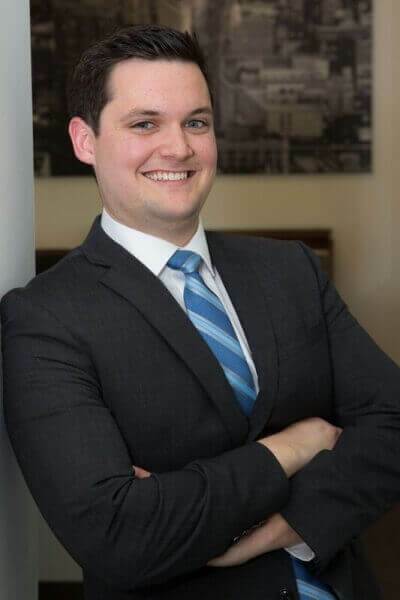 "I fought hard for my clients when I started my career as a law clerk while in law school. I fight even harder for them today as the proud owner of this law firm." "It's humbling to have my clients trust me with their disability case. As a disability lawyer, that always motivates me." 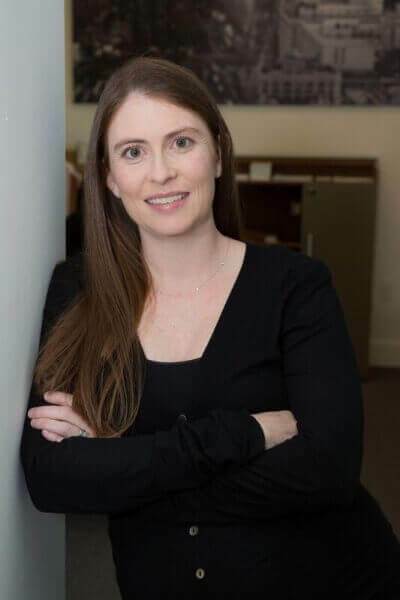 "I went to law school because I want to help people, and it's easy to love coming to work every day when you're on the right side of the fight." "In my experience, I have learned how much good can be done using the law. I love that as a lawyer I get to help people when they need it most." "Waking up everyday to help people fight for the benefits they deserve is truly rewarding and motivating." 4.16.19 Does Long-Term Disability Cover Pre-Existing Conditions?